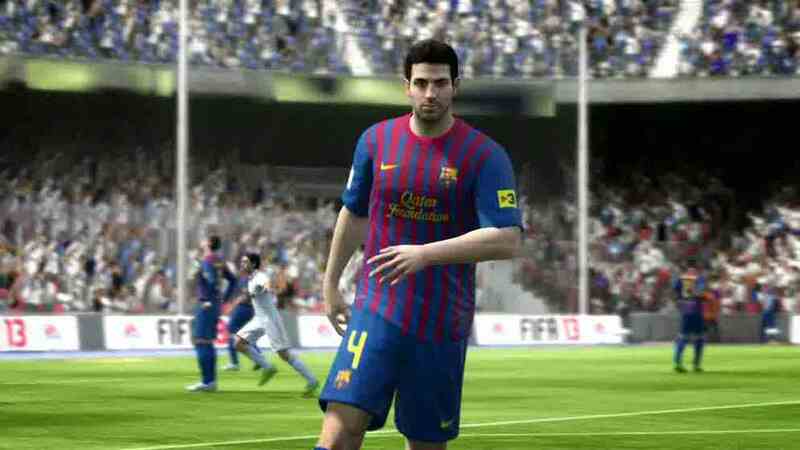 EA has released a video showcasing the voice commands available to Kinect owners who play FIFA 13. The voice commands let you activate tactics, change formations and trigger substitutions without pausing the game. In Be A Pro mode you can shout for a pass, send a teammate on a run or call for a shot. The referees and linesmen listen to what you say, too. Use coarse language and the commentators may mention it and the referee may become stricter with fouls and bookings. You won't get a booking, but storylines will develop in Career Mode when players and managers lose their cool. In the video, the player swears after being flagged offside. Does Kinect know all the swears? UPDATE: Dishonored takes top honours, but Journey scoops up five awards. FIFA 13 back on top, snore. Has 35% market share, but still no credit insurance.